Uruguay should amend domestic law on use of firearms by law enforcement officials to comply with international law and standards. Police use of a firearm should only be lawful where necessary to confront an imminent threat of death or serious injury or a grave and proximate threat to life. Article 26 prohibits torture, but only in prisons: "In no case shall brutal treatment be allowed in prisons; they shall be used only as a means of assuring that convicts and prisoners are reeducated, acquire an aptitude for work, and become rehabilitated." The use of force, including different types of weapons, must be moderate, rational, progressive and proportional, considering the risk to face and the legitimate objective pursued. 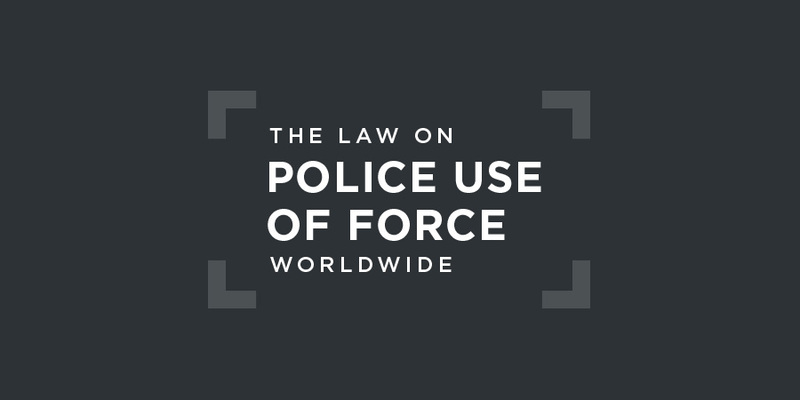 Article 22 limits the use of firearms to situtions "when a person offers armed resistance to police action or endangers the physical integrity or life of the acting police or third parties and can not be reduced or stopped using non-lethal means". This does not fully comply with international law and standards. Uruguay has no dedicated independent civilian police oversight body. The National Ombudsman (Defensoria del pueblo) may investigate complaints against the police. In its 2014 Concluding Observations on Uruguay, the Committee against Torture called on the authorities to "take effective steps to ensure that police officers comply with the Code of Conduct for Law Enforcement Officials and the Basic Principles on the Use of Force and Firearms by Law Enforcement Officials". In late 1976, María de Gelman, a pregnant university student, was arbitrarily detained in Buenos Aires by Uruguayan and Argentinean military commandos and then transferred to a detention center in Montevideo, where she gave birth to her child. Ms. Gelman was disappeared and her daughter taken from her and given to an Uruguayan family under "Operation Condor", which involved the systematic practice of arbitrary detention, torture, execution, and enforced disappearance by the Uruguayan dictatorship. In December 1986, the Uruguayan Government approved an amnesty law that eliminated the possibility that military and police officers who committed human rights violations prior to May 1985 would be investigated, tried, and sanctioned. The Court found that Uruguay had thereby violated the 1969 Inter-American Convention on Human Rights and the Inter-American Convention on Forced Disappearance of Persons.